With Rick Edwards, Master of Scotch (Pernod Ricard USA) Explore The Glenlivet, mark-by-mark, with Pernod Ricard USA’s very own Master of Scotch, Rick Edwards. Hors d'oeurves will be served, courtesy of Mr. Lyons Executive Chef Erik Dandee. Pernod Ricard USA appointed Rick Edwards to be Brand Ambassador for The Glenlivet in 2007. 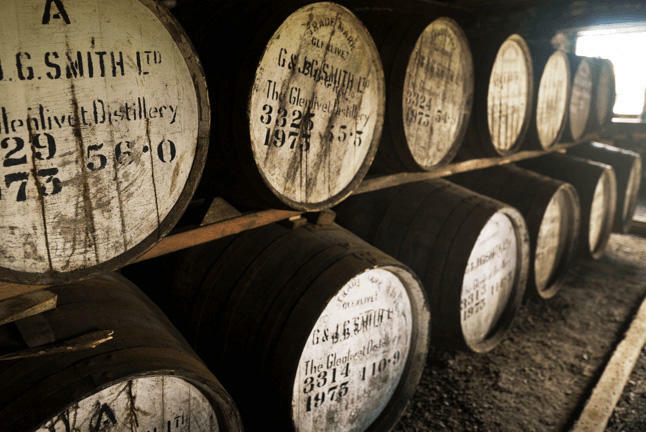 He now represents the company’s entire portfolio of single malt and single pot still whiskeys. Named an Icon of Whisky by Whisky Magazine as American Brand Ambassador of the Year in 2015, he has been featured in other trade publications, such as Tasting Panel, Whisky Life and Wine Spectator. Rick also judges spirit competitions and is a familiar face on whiskey panels. Drink Responsibly. **Ticket price inclusive of tax and 20% gratuity.